FINCA International is breaking down barriers in an often-overlooked area for those in poverty: financial services. Businesses in poorer areas lack access to loans (which leaves them vulnerable to unscrupulous lenders) and have no secure place to store, save, send, or receive money. 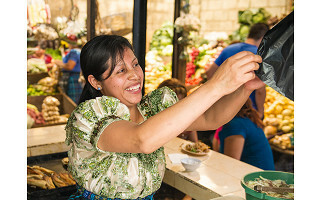 By giving low-income entrepreneurs innovative forms of micro financing, financial advising, and savings, their businesses—and then entire communities—can benefit. FINCA currently serves 21 countries and customizes its services to local needs, helping ensure their clients’ success. They’ve pioneered energy loans to help clients lease clean electricity and made loans to farmers to buy necessities before the growing season. Another program gives group loans to several new entrepreneurs in the same neighborhood and lets them guarantee one another’s loans. Distance is one of the biggest barriers to traditional banking, so FINCA lets its clients bank via physical branches, local merchants, or text-message-enabled mobile banking (no smartphone needed). When businesses in the underserved areas are on more solid footing, the result is positive change in neighborhoods around the world. Hi, I’m Allison Scuriatti, Executive Director of FINCA International, a non-profit working in 21 countries that aims to alleviate poverty through lasting solutions that help low-income entrepreneurs and families build assets, create jobs and raise their standard of living. I’m excited to share our work with The Grommet community! What elements of FINCA International's work did the founders' consider essential from the beginning? 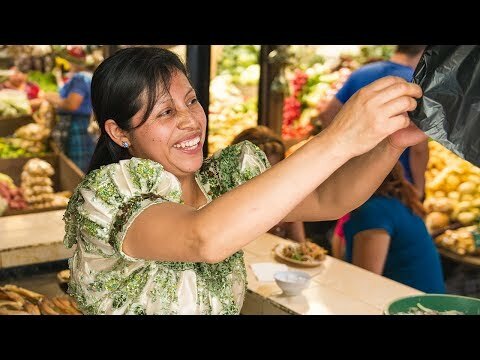 FINCA empowers low income and marginalized people to help themselves – and to do it in an ultimately sustainable way. That’s our creed. People everywhere need to make a living and especially in the challenging countries where we work. Financial services enable people to support their families and serve their communities. How is FINCA’s approach different from similar organizations? How do you define success and what is your team’s "secret sauce” to success? Our success has been to really know the clients and evolve our own model according to their needs and the changing world around us. We care about impact: jobs created, women empowered to earn, children attending school, or entrepreneurs devoting more time to business and less time (and money) doing what we take for granted. What were some unexpected challenges and rewards in trying to redefine an industry that has been the same for so long? Well, I love the fact that mobile banking took off in Africa first and not in America! The transportation infrastructure there makes it expensive and hard for people to visit a bank branch. FINCA is now on the leading edge of showing the world what responsible mobile and agent banking can be, and we want to set the standard for that. Donations help us ensure that critical banking services are available to poor entrepreneurs in some of the toughest markets on Earth – from Haiti to Congo to Afghanistan. We are also developing new programs to increase people’s access to energy (e.g. solar lamps for their homes), education and clean water, which are all part of solving the challenges of poverty. FINCA International is breaking down barriers in an often-overlooked area for those in poverty: financial services. Businesses in poorer areas lack access to loans (which leaves them vulnerable to unscrupulous lenders) and have no secure place to store, save, send, or receive money. By giving low-income entrepreneurs innovative forms of micro financing, financial advising, and savings, their businesses—and then entire communities—can benefit. FINCA currently serves 21 countries and customizes its services to local needs, helping ensure their clients’ success. They’ve pioneered energy loans to help clients lease clean electricity and made loans to farmers to buy necessities before the growing season. Another program gives group loans to several new entrepreneurs in the same neighborhood and lets them guarantee one another’s loans. 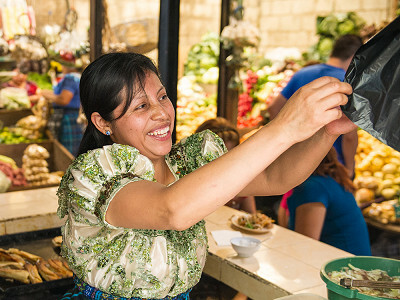 Distance is one of the biggest barriers to traditional banking, so FINCA lets its clients bank via physical branches, local merchants, or text-message-enabled mobile banking (no smartphone needed).